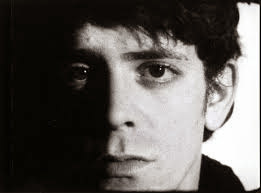 Unless you've been in a coma for the last twenty-four hours, you've probably heard that Lou Reed has passed away at the age of 71. Honestly, I wasn't expecting this. Between him, Bowie, and Iggy, Reed was the least healthy and the most self-destructive. Because the universe is a bizarre place, I always figured he would end up being the last man standing. Guess I was wrong. I was introduced to Reed by my friend Jeff. I was 18, just out of high school, and he was 30, just out of prison. Over several late-night caffeinated diner hangouts, he turned me on to The Velvet Underground. After I'd devoured all four albums, I made the natural progression into Reed's solo work. It was one of those life-long gifts. I could produce a flow-chart of the friendships that have begun through a shared appreciation of those records, to say nothing of the countless times they've been a soundtrack to the low-budget movie of my life. One of the things I love about this kind of music is the bonds of friendship it creates. It might not be everybody's cup of tea, but if it's yours, you'll drink it obsessively. Then, on the rare occasions when you meet someone else who's into it, you're automatically friends because you already have so much to talk about. I remember on the first day of Junior year, someone noticed my copy of the collected lyrics book, Pass Thru Fire. He turned to me and said, "Any friend of Lou's is a friend of mine." Ten years later, we live on different sides of the ocean, and the friendship continues. I never got around to catching him live. Even though I'd heard mixed reviews of his latter-day performances, I thought it was something I should see, for better or for worse. He played the Parco della Musica in Rome two years ago. Unfortunately I slacked off on buying tickets in advance, and when I got to the venue on the night of the show, the last available seats were something like €60. At the moment, it seemed like too much. Right now it sounds like a bargain. At this point in my life, I can admit that not everything Reed touched turned to gold. Occasionally, the demons that gave his work its passion got the best of him. I can also say, without hyperbole, that everything that's happened in rock 'n roll since (or at least everything worth hearing) owes him a salute. I considered closing this entry with a list of my favorite songs, but there are just too many. At any rate, I'm currently listening to the self-titled Velvet Underground album. The one without Nico. And I'm playing it loud. Do Randroids Dream of Electric Sheep?